America has a diverse but solid automotive identity. America is unique in its car culture and much of that is shaped by its landscape. Mainly because there is so much of it. America covers a total of 3.8 million square miles of the planet and, while it’s not the biggest country in the world, America's land mass is only slightly smaller than the entirety of Europe. It’s 50 states are unique to the point they could be their own countries. You could fit the UK into Alaska 7 times on its own. And Alaskans probably wouldn’t notice the first time. Big roads mean big comfortable cars are king and America is not a poor country. California alone is the fith largest economy in the world and gas is cheap in relation to most. There’s also the fact that much as the major city-based media would have you believe otherwise if you don’t have a car it’s hard to exist in the majority of America. On top of that, because America is a new country still, cities are built to plan rather than grown organically so often come in the shape of a grid. That means lots of 90-degree corners driven round at low speeds. Due to the distances in America, even if you’re somewhere with stores you can walk to, other important things are invariably some distance away. In America, distance isn’t often measured in miles, it's measured in time. For these reasons, these cars made mainly for other markets just wouldn’t go down well in the US. The Jimny recently came out in other parts of the world and, until the fuss finally died down, was the darling of the British automotive media. It’s not planned to come to America, and probably with good reason. Much as America loves an off-roader, the Jimny is so small it looks like it should be sold in pairs as roller skates. It would no doubt achieve a small cult following, but too small to justify exporting and selling here. America’s love affair with the minivan ended when "soccer mom” owners became the overriding stereotype. 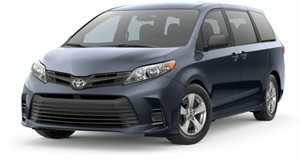 Now, there’s just a couple of minivans that do well in the US because they are roomy, have luxury level features and tech, and decent engines but are basically nice workhorses for the family. It seems contrary that the status-symbol and the super-luxurious minivan would fall on its face here, but the bottom line is that, although Americans do love opulence and refinement, the minivan will get laughed off the road as a status symbol. Driving the top of the line Royal Lounge edition could even get you shot as America doesn’t hold much truck with the idea of monarchy. The Fiat Panda is a tiny European city car with a cult following. It’s eager, fun to drive, and well engineered. But it's not only the size that would lead to it falling flat stateside. 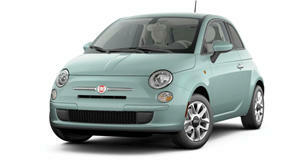 The Twinair Turbo may sound big, powerful, and a bit American, when in fact it's an 85 horsepower 2-cylinder powerplant. As much fun as Europeans might have wringing the Fiat Panda Twinair II Turbo out, that's an engine size only acceptable on motorbikes over here. 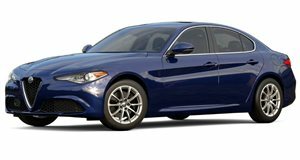 While Alfa Romeo has been doing relatively well in the US under the Fiat Chrysler Automobiles umbrella, America is fussy about its hatchbacks. While big performance numbers like the Civic Type R have cache, a hatchback on the same platform as the Chrysler 200 and Dodge dart with the reliability reputation of Alfa Romeo is a dog that won’t hunt here. No matter how much we liked it. It has a Chevrolet badge and is named after an American state, but it’s not sold in America. Instead, it’s sold in South America and emerging markets. It’s a front-wheel-drive utility coupe like the old El Camino, but America’s love affair with the Ute ended a long time ago and a cheaply made version with lackluster styling and a 4-cylinder engine would not bring it back. It's neither all business at the front or anything like a party at the back. The Honda Acty has been around since the first Star Wars movie. It came out in 1977 as a small, economical workhorse with the emphasis on small. It is a Kei vehicle, and the only one left not to have a front-engine and rear-wheel drive layout. It’s actually a mid-rear layout and can be had with 4-wheel drive and with a van body. Why wouldn’t it sell in America? 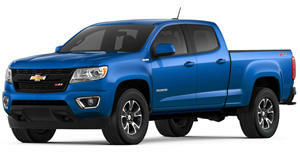 You could park it in a traditional American truck bed with room to spare, and the current 3-cylinder engine makes 45 lb-ft of torque and its payload maximum is 440 lb. That’s the weight of two perfectly average NFL linebackers. The Ypsilon suffers the same problems as the Alfa Romeo Giulietta. According to reviews, the ultra-compact five-door supermini is a useful little thing and likable once you get used to the high riding position. However, tiny engines in tiny cars don’t work here and the Lancia badge has little cache outside of the rallying heritage of old, and the Ypsilon displays exactly none of that. Size and looks apart, this is a car that would be squashed on American roads because it can’t even get out of its own way. Its 0-62 time is a comical 16 seconds. Jeremy Clarkson reviewed it for the UK’s Sunday Times newspaper and dropped this savage line: "The Qubo is so slow that if you climbed into one this morning in Hunstanton and attempted to drive south as fast as possible, coastal erosion would swallow you up by Wednesday evening." On one hand, it was a clever piece of engineering and the cheapest car in the world. On the other, the Nano looks stupid, it’s the cheapest car in the world, has virtually no features on the interior, no tailgate, hardly any power, and it’s tiny. It ceased production recently because not just Americans didn't want it, but nobody did. Not be confused with the classic Ford Galaxie car, the Galaxy is a 7-seater minivan. While the minivan market in the US isn’t big, the strongest have survived by being large, roomy, and feature-laden affairs. The Galaxy features none of those things. It has forward-hinged doors rather than a sliding door, it is limited in space despite having 7 seats, and it's bland looking compared with the Honda Odyssey, Chrysler Pacifica, and Toyota Sienna. In America, a minivan has to be very good to sell and the Galaxy isn't.